Mr. Waaser is a veteran operator and medical products executive who spent the first 18 years of his career with DuPont in multiple business units and functions. 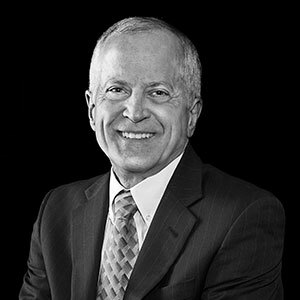 In the two decades following his career at DuPont, Mr. Waaser held top leadership positions at a number of healthcare businesses, including CEO of Systagenix, a leveraged buy-out of Johnson & Johnson’s wound care unit; President of Teleflex Medical; CEO of Hill-Rom; and COO of Sterling Diagnostic Imaging, a leveraged buy-out of DuPont’s medical imaging assets. Mr. Waaser most recently served as Chief Executive Officer of NuSil Technology, a manufacturer of specialty silicones for life sciences and advanced technology applications, leading the business to significant growth and a successful merger in late 2016. Mr. Waaser currently serves on the board of Flexan and served on the boards of NuSil, Systagenix, and Advamed. He holds a Bachelor of Science in Nuclear Engineering from Mississippi State University and a Master of Engineering from University of South Carolina.